Pioneers in the industry, we offer frp doors and fiberglass doors from India. Minimum Order Quantity : 50 nos. We bring forth for our esteemed customers a wide collection of FRP Doors. All our products are manufactured using excellent quality FRP that is sourced from most trusted vendors of market. These products are highly appreciated by customers for their elegant designs, durability and sturdiness. 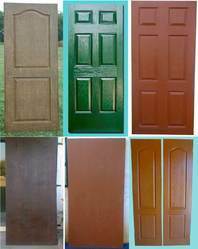 An ideal substitute to wooden doors, these products are available in variegated colors and sizes as per customers' requirement. We here offer our clients with an environment friendly range of 2 Panel Arch FiberglassDoorsthat are available in several distinct colors and may also be ordered pre-stained or even pre-painted suiting the demand of the clients. These have a superior oak grain finish that provides a warm texture of real wood and the feel of authentic wood with the durability, strength and security of premium steel doors. 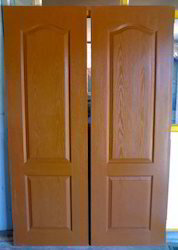 Moreover their coating of general polyester resin and fiberglass matt adds life of these doors.